I promised to show what better be one of the very few items I buy this year, with a big move to a small space coming. Fine, single-colour stripes work on me if the piece is not oversized. This has the quiet quality confirmed by the twelve-item Wardrobe Challenge and the versatility I'll need when I have a clothes closet formerly called "broom". 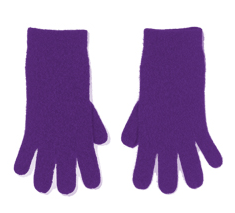 If you're looking for a gift to please most any woman, pick up these warm, light, washable 100% cashmere gloves now, on sale for €33, and pack away for a birthday or other occasion. The commenter who said she'd like to wear cocktail rings but they don't fit under gloves? 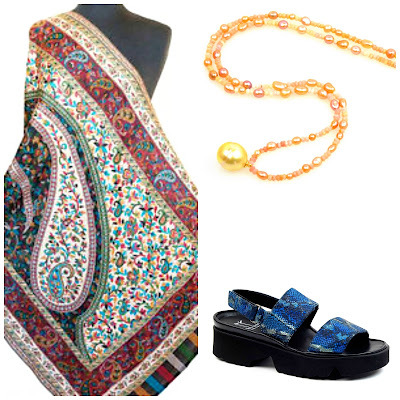 Here's a solution that comes in scores of delectable colours. 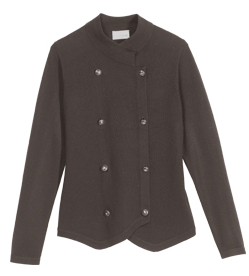 The 70% cashmere/30% silk army jacket is a chic choice for smaller-busted women, and is 35% off, €136. Versatile, softer than a jacket, and equally polished with jeans or a skirt. Limited sizes. The 16-ply ribbed cashmere ribbed jacket with leather buckles is substantial, with price to match. If if one hankers for a cashmere coccoon for apres ski, travel or staying warm in serious drafts, this is it, and it's one of the relatively few -40% items. Sale price, €322. 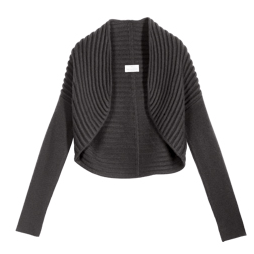 If that's too much length for you, the 100% cashmere bolero provides 8-ply delight and the charm of semi-circular ribs. 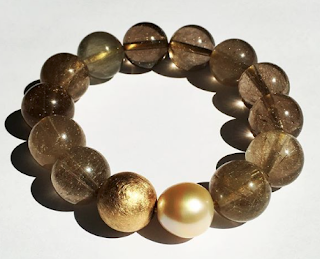 Another of the -40% pieces, €228. I'm still wearing my Bompard cashmeres a dozen or more years later, so you will get the value out of your purchase. 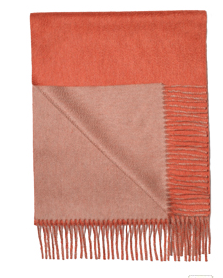 One of their standout items is the reversible (actually double-sided) cashmere scarf, on sale now at -25%, €65, in striking combinations such as new camel/flame orange, shown. Plenty of time to enjoy if you're in frigid temps now! Sale continues to Feb. 15, colours and sizes grow more limited as the days pass. Delivery can take up to three weeks for sale items. I ordered a v-neck sweater first day of sale, and am still waiting for it, but hopeful it will arrive this week so I can take on our ski trip. I love that military jacket but know better with my shape. I just spent the last 15 minutes perusing the site...lovely cashmere...alas the sweater that I love the most is not on sale....I may go back again later. I bought a cashmere v-neck in the sale you alerted us to before Christmas. It's already been worn to the point of needing a wash -- and washed, carefully but easily in Eucalan, dried on a rack overnight -- twice, and I'm delighted with its quality. Lovely sweaters! But it's "cocoon," not "cuccoon." Great choices! Like Pseu, I like the military jacket, but it won't work on my shape. Thanks for the warning. I like both those jackets, and am currently looking to up my jacket stores. Hmm. Pseu: Fitted vee or classic? Or? spacegeek: So glad to hear that, it sounded far too sumptuous to part with. LPC: I like the schoolboy jacket too. Duchesse - fitted, I think. I wanted one without the band at the bottom. Went for the charcoal grey. Crossing my fingers size will be OK. 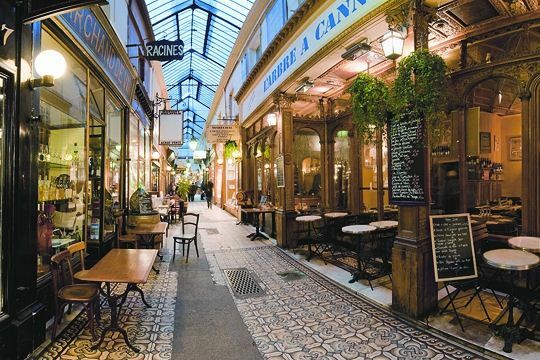 I'm hoping to check these out next time I'm in France. Let me echo Mater's love for Eucalan. I follow their washing instructions to the letter (yes, in the machine -- even old Rubis can learn new tricks) and my sweaters have never looked better. frugal: Their mail order service is excellent and you do not pay VAT (but might incur duties.) However I am curious; do you wear cashmere in Louisiana? Rubi: Atta girl! In a lingerie bag, in the machine works perfectly for me. Thank you for the reminder! I just received my order from Brora (extra %off their sale this week). The quality is excellent but I did save a little of my warm-wear budget to purchase something from EB. Perhaps one of the polo styles or a cardigan - it's hard to decide as they are so relentlessly cool in silhouette. Pseu: The fitted v is a staple in my closet and goes happily to work with a scarf. Hope it fits you and that you are pleased. There were a couple of things I meant to buy before the sales, and then I meant to buy them during the sales, and now they are gone. There is always next year and my sweater cabinet remains overfilled and in need of sorting anyway, although good cashmere is always welcome. I'm reporting back to say that I finally cleaned/purged the sweater stores and see that I have a definite lack in the fine gauge/ fitted sweater categories so I ordered two fitted v-necks. I can't wait until they arrive. I love the schoolboy jacket too, but I have things in similar colors in the same weight so unless I was willing to give something up (not) I had to pass.